What if a camera or VMS could just add a software module and have full ONVIF support? And what if that module in the near future evolves into a turn key VMS that could be branded, extended and resold? That's the plan for the Russian software development team behind the ONVIF Device Manager. They have now developed ONVIF reference designs to allow others to jumpstart their ONVIF video efforts. ***** ******* ***** ****** (***) ******* *** *** - ****** interfacing **** ***** ***** ******* *** ********* *** **** **** streaming *** ********* (*** * *******). ** ** * *** time ********** ******* *** ** $*,*** ***. ***** ******* ***** *********** (***) *** ******* ***** ******* (***) SDK - ******* ****** / ******* ************* ** *** ***** support *** * *** **** ******* *** ** $**,*** ***. *** *******,**************, **** ****** ********* ******* ********* *** *************. ** ****, **** **** ** ******* * *** ********* ****** with **** ***** * *** * *******, ***** **********, *******, etc. **** *** *********** ********** ** *** *********** ** ***** ***********. While ***** ****** **** ***** *******, ** *** ** ****** and *********** *** ****** *** *** ************* ** ******* ***** own ***** *******, **** *** *** ***** ****** *** ******** to **** **** **** *** ********.  ********, ***** ****** ** ***** ** *** * *********** ********* for **** *************, ** *** **** ** ** *** ******** interoperability *** **** ************* ** ***** ********. *** **** ******* organizations ** ***** ******** ** ** ***** ************, ** **** likely ** *** **** ************ **** ********* ** **** ** **** * ***** ***** reference ****** **** ** ******* **********. *** *** ****** *** * **** ******* ** ******, **** now *** ******* **** *******, ***** *** ********* *** ***** significant *** ********* ** ****** ********* **** **, ****, ****** as **** ** **** ***** ********* **** ***** *** *****. There *** ****** **** ** ********** *** ********* **** ****** brands ** ********* ***********. *** *** ********** **** ** **** ******** *********** ** **** ONVIF ********* ********** *** *** ******* *** ********* ***** ** devices *********, *** ***** ******** *********** *****. *** ******* ******************** ******** ***** ****** **** ********* ** ***** ***** **** solutions. ***, ***, ***** *********** *** *** *****, *** ** ** clearly ****** * *** **** ********, ** *** ***** ***** most ************ **** ***** **** ***** ****. **** ***********, **** will **** ********* ******** ** *******, *** ** * ******** developer *** ********** ** *********** ***** ***********, ** ***** ** a ******** ****** *****. So instead of dozens of VMS manufacturers each babysitting their integration with dozens of brands and hundreds of models of IP cameras, they can pay these guys $5000 to do it for them instead? And instead of dozens of IP camera manufacturers with hundreds of models also babysitting their integrations with dozens of VMS manufacturers, they can pay these guys $10,000 (per company, camera model, what?) to do it for them? Isn't this what ONVIF is supposed to do in the first place, a unified standard? Any ONVIF-compliant VMS will work with any ONVIF-compliant camera? So we all send a pile of cash to these guys so they can figure it out instead? I don't see how adding middleware would simplify things. Everyone each would still have to babysit their integration to the middleware. And as VMSs and cameras evolve, do you expect this company to keep up with it all forever for that one-time fee? This venture's success is dependent upon ONVIF's failure. I will leave it to others to argue that bet. So any ONVIF complaint VMS will / should work with any ONVIF compliant camera. However, each camera or VMS needs to add in code to support ONVIF. ONVIF has a lot of functions / features / components. What this company is offering to do is to implement that for you so all the camera or VMS needs to do is hook their module in. This is pretty common in software development. There are standards (SMTP, TCP, etc.) or APIs (Facebook, LinkedIn, Twitter, whatever). You can either develop code yourself to interface with them or find a third party that has already done this and just integrate that module into your application. This is what these guys are doing with ONVIF. John as a developer yourself, surely you agree that the rubber has to meet the road sooner or later', meaning some group at mfr A has to figure out how to build an interface between the mfr's existing legacy objects/ data structures and either the onvif protocol or the onvif library, while meeting performance specs. This is likely to be the costliest/hardest part of the project. On the other hand a working ref model using a server library that is fully detached AND sufficiently generic from their client might be a great help, depending on how closely the implementation details, e.g. languages/db/middleware are aligned. I'm sure these guys would be glad to do the legacy interface as well on a t/m basis, but that's besides the point..
Sure, you still need to build an interface but it's likely going to save a lot of time (ergo money) not to have to build the whole thing from scratch. You look up what methods the module provides, see what you need to implement and call them appropriately. I am not saying it will work perfectly every time, but on the whole, it's going to be a lot faster to do it this way then implement each on your own, having to figure out ambiguities, etc. 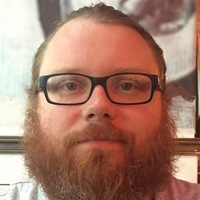 It should also simplify QA as the underlying code is part of the ONVIF Device Manager that a lot of people have been using for a years now and has therefore been vetted, something code from scratch has not. That said, as you point out, implementation details do count (languages/middleware, etc.). This NVC one is done in .NET 4.5 so if you are not developing in Microsoft's framework (Java, Python, whatever), you are going to have problems. This is interresting development, it could mean a simpler solution for those looking for PSIM I expect an ONVIF API toolkit would fit well with customized approaches. Standard is too bloated and is too complex to implement reliably across all vendors. Well, to that end, this would actually increase the value of such a kit, as one company could specialize in understanding and dealing with the complexity, implement and re-sell it, so VMS developers and camera manufacturers could focus on their core competencies. John, are these guys guys part of the same company? There can't really be two russian open source ONVIF reference middleware developers/consultants right? It's the same Open Source product from that I can tell. That is the same company, just an old website. They say idevicedesign.com is the up-to-date one. We at Mindtree have provided ONVIF stack licensing services to camera OEMs world wide since last couple of years. While I would not like to sound this as a marketing pitch, we enable camera OEMs to become ONVIF compliant. Thanks for sharing that. It's totally relevant to this topic. Btw, you mention camera OEMs in your comment. The website also mentions NVC so are you offering client/VMS side as well? Yes - we do have NVC component as well. However to build an NVC component it doesn't take much of "engineering effort" for any VMS vendors. So no big names would license it. However there are other industries medical/industrial for example who end up using IP cameras and need this component as an add-on to support their own proprietary application software (& not necessarily VMS at that). Anything to make my life as a developer/integrator will help. I've just started delving into the ONVIF world and it's a huge undertaking for someone who hasn't been involved and/or following it since it's inception. These guys are pros at what they do. I have one of their encoders; I'm experimenting with various PTZ cameras. The support hasn't been too bad except expect a 12/24 hour delay just because of the time zone difference. 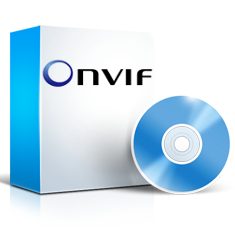 For those of you who haven't downloaded their ONVIF Device Manager, give it a try. You'll find some cameras/encoders easy to work with, some are more difficult. One of the first things I found with Axis cameras is that the camera's time has to be synced within, I believe, 30 seconds. And your standard login using the web browser is totally different. I can't remember the steps to change to ONVIF but it was quite a work out. An old Panasonic camera we had for testing purposes came up just fine without any glitches. Some of you may find other issues with ONVIF and I'd like to hear what they are.